Galahad is here, one of the final steps before the release of Albion Online on July 17, 2017! 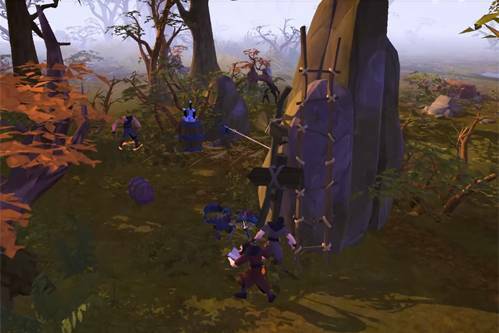 This update brings an incredible amount of changes to the world of Albion. 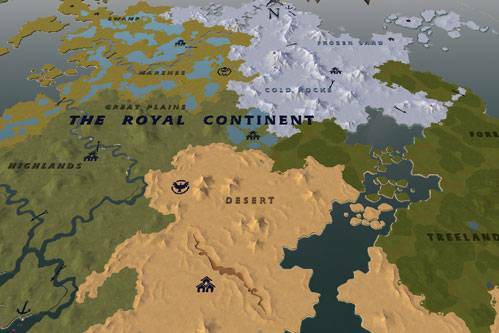 We have reworked the entire world, bringing in a new Royal Continent and Outlands, as well as biome-specific cities. 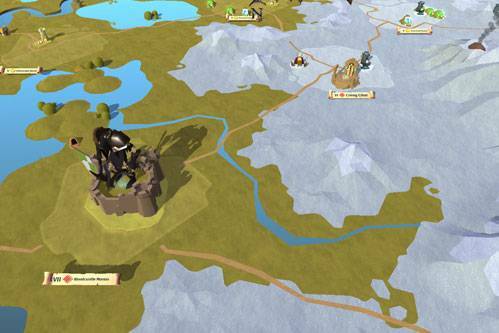 The world map has also gotten a make-over, making it more immersive and believable. On top of that, the open world PvE has been completely revamped with massive guardians, random camps, home bases and more. No time to venture into the world? Explore one of seven new Expeditions instead! Continue reading below to find out about all new features and content in Galahad. A detailed list of all new features and changes can be found in the changelog. In order to prepare for Galahad, the Albion live servers will go down on March 10 at 10:00 UTC and will come back on March 13. During the downtime, all data will be wiped. You will get back all your Founder items, Gold purchased through the website and referral rewards upon logging in after the wipe. At the start of Final Beta, we were rather unhappy with our world design and especially the Outlands, which is why we reworked the entire continent. 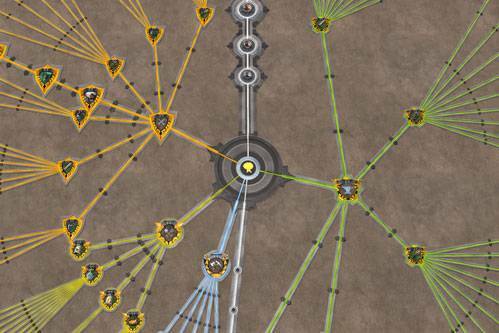 The new Outlands are designed around different hubs (high-end, mid and low), forcing guilds of the same strength to settle close to each other. This combined with a plethora of hotspots will ensure that the Outlands will be the place to be for guilds and PvP. Learn more about the Outlands here. Not only the Outlands have gotten a new layout; the two Royal Isles have made place for one big Royal Continent. The Royal Continent is shaped like a pie chart, with each slice being a biome with its own city. At the center, where all biomes meet and deep in the red zones, lies a central city. Each zone and city has its own purpose, reducing the amount of ghost towns and dead zones. Learn more about the new Royal Continent here. As the world has changed, the Albion world map has also received a big upgrade! Not only have the visuals been greatly improvement, the new world map also has various zoom settings and is better at displaying relevant information. On top of that, the world of Albion now features various landmarks such as mountains and ravines that will make it impossible to travel certain routes… unless you find a hidden underground passage! Do you dare to go in? 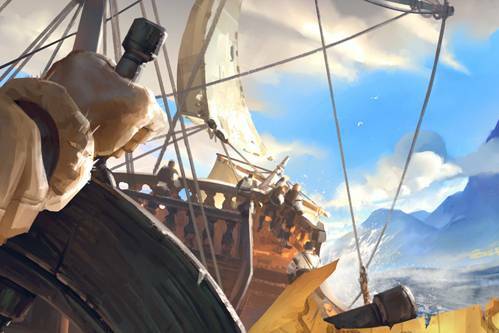 Cities are one of the key features of Albion Online, as they are both the social and economic hubs of the game. Whether it is to chat, recruit members or trade, cities are always full of life! In order to make cities more believable, as well as making them more worthwhile to visit, they now each have their own unique layout and look, reflecting their surrounding biome. Aside from five biome cities, there is also a unique center city in the middle of the Royal Continent. Have a look at the biome cities here. 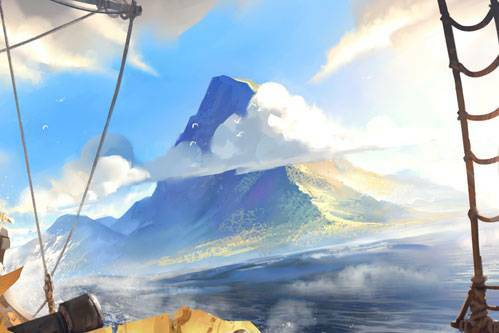 Expeditions are relatively short PvE missions; perfect when you have no time to venture in the open world! 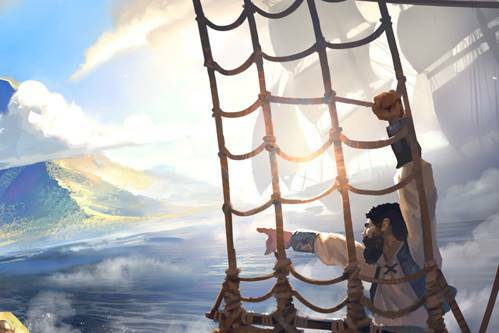 Talk to the Expedition Master in your local city, pick the size (solo/group) and Tier of your choice and start your adventure! You cannot die in an Expedition, but you do need to complete the given mission within the given time and you will lose gear durability upon dying. Expeditions reward you with silver and fame, albeit FAR less than open world PvE would, and you will also get Royal Sigils upon completing them. These Royal Sigils can be used to craft Royal Armor pieces. Find out more about the Expeditions here. Guardians are massive world bosses that protect Tier 6 resource hotspots. 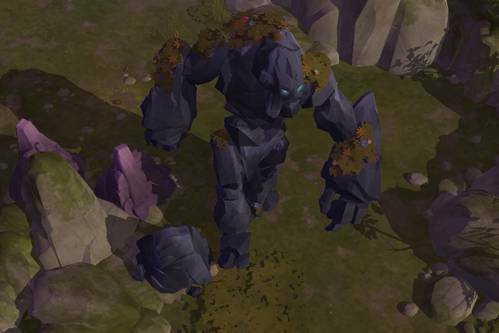 Each biome has its own unique guardian, from a snow-white Mammoth to a colossal Rock Giant. These guardians should not be underestimated, as they are not only extremely tough but also have an array of skills to dish out at anyone who dares to oppose them. A properly coordinated team is advised! 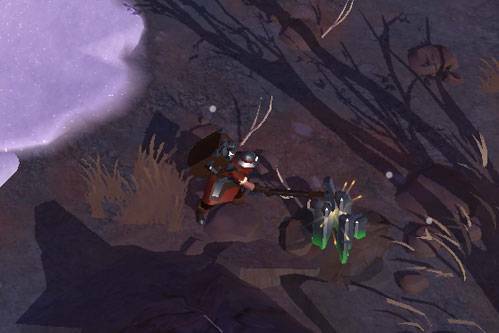 If you do manage to take down a guardian, you will be able to gather a high amount of Tier 6 resources from it. Mob camps are no longer accompanied by large dungeons. Instead, they have smaller and more straightforward dungeons with a boss at the end. Large dungeons have been reworked to become less linear and can be found in the open world, without a mob camp to protect it. When exploring the open world, you can also run into random camps. These are small groups of mobs that come in different rarities and difficulties. As the name suggests, they appear randomly; the regular Undead camp you found the other day may suddenly have a miniboss waiting for you the next time! 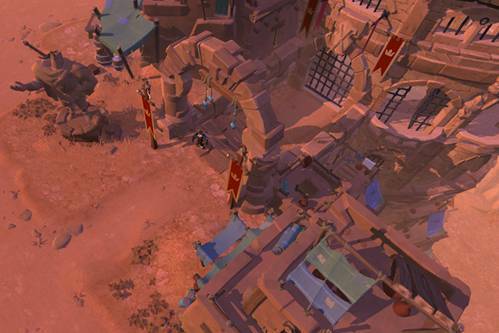 Learn more about mob camp, random camps and dungeons here. Home bases are maps entirely dedicated to a specific faction. These regions are the ultimate PvE grind spot, offering content for single players, small groups and even raid parties. Each home base has two raid bosses: one daily boss and one major boss that spawns every three days. The major boss will be globally announced and its spawn-time shifts over time zones. Be prepared, you will not be the only one contesting the boss! Currently only the Morgana and Undead factions have a home base, but more will be added in the future. Learn more about home bases here. Throughout the world you might run into ruins of what used to be mighty altars. They are now haunted by Spectres, vicious spirits that attack on sight. These altars are the perfect farm spot for Essences. Spectres are Tier 6 mobs that will give you less silver and fame than regular faction mob, but in return drop a significant amount of Essences. 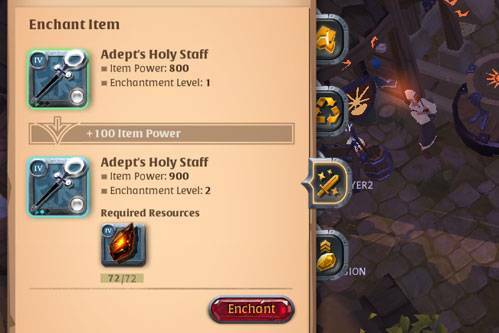 Runes, Souls and Relics can now be used to add enchantment levels to equipment, which increases item power. In order to enchant your equipment, find the Artifact Foundry in your local city and select the “Enchant” tab. Runes are used to enchant to level 1, Souls to enchant to level 2 and Relics to enchant to level 3. You can only enchant one level at a time. Gatherers can now unlock gatherer gear through the Destiny Board. Each resource has its own set of equipment, consisting out of armor, helmet, shoes and a backpack (cape slot). Each item is available from Tier 4 to Tier 8 and completely unique per resource type. 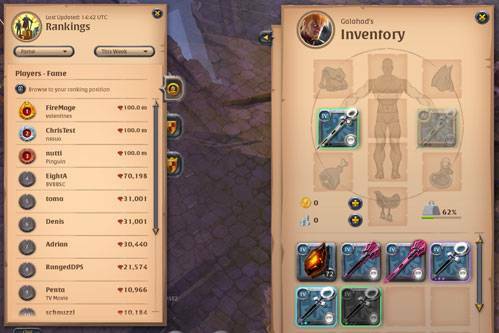 These items have unique spells, as well as passive bonuses that will help you when gathering your precious resources. Gathering equipment, specialization and crafting can be unlocked through the Destiny Board. Find out more about gatherer gear here. 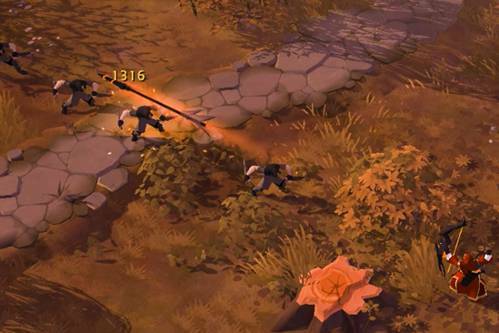 Aside from adding Royal and Gatherer equipment, we have also thoroughly reworked combat balancing in Albion Online. We are giving some love to underappreciated roles in the current Meta. Tanks for instance are getting better Crowd Control options. 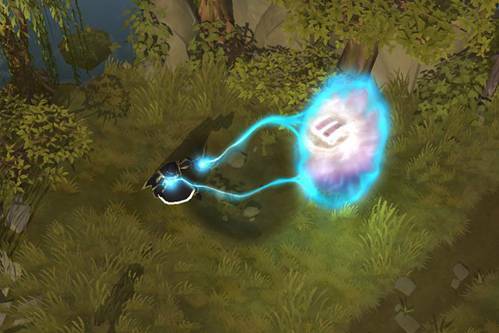 We are also moving all mobility spells to boots, making them harder to stack. On top of that, we are also reworking and rebalancing an abundance of skills, giving several items a more defined role and niche in Albion. Full details on the combat balancing and changes can be found in the changelog. 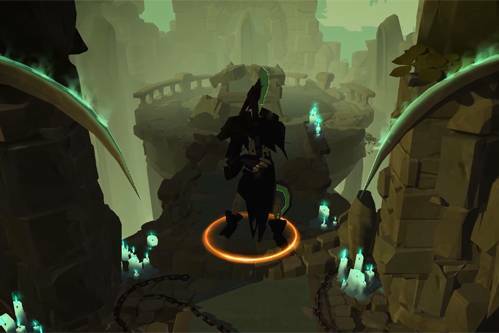 A new PvE track has been added, which unlock expeditions and bonus damage against mobs. Starting from Tier 4, Mastery Levels per node go up until level 100. Learning Points can now only be used after fulfilling the fame threshold. 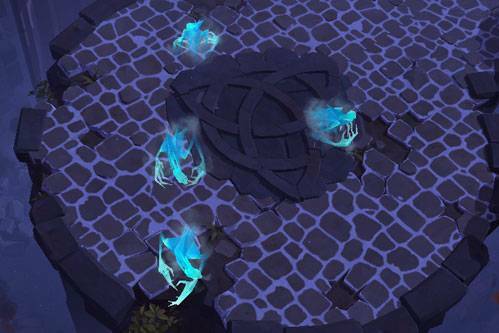 Spells can now be unlocked through the Destiny Board. The User Interface has been revamped and redesigned! Not only has it gotten a sleek new look, giving Albion Online the modern look it deserves, but it has been optimized to work better on all platforms. We will continue to add features and improvements to the User Interface throughout the Beta. Aside from the content mentioned above, Galahad also brings a number of smaller new features and improvements. Borderless Windowed Mode has been added. Focus costs and yield bonus have been added to farming. Bank and Chests capacities have been doubled. Suiciding during duels no longer causes reputation loss. Last character you played with will now be displayed at the top of your character selection. Several environmental bugs have been fixed.